. إن الخدمات التي يقدمها Mercure Oakridge Wanaka Hotel تضمن للنزلاء إقامة مريحة. يقدم الفندق خدمة الغرف على مدار الساعة, مرافق مخصصة لذوي الاحتياجات الخاصة, صف السيارات, خدمة الغرف, رعاية أطفال لضمان الراحة القصوى لضيوفه. استمتع بوسائل الراحة الراقية في الغرف أثناء إقامتك هنا. بعض الغرف تتضمن تلفزيون بشاشة مسطحة, اتصال لاسلكي بالإنترنت, حوض الاسترخاء, غرف لغير المدخنين, مكيف هواء لمساعدتك على استعادة طاقتك بعد يوم طويل. كما أن مجموعة الخدمات الواسعة الموجودة في الفندق لضمان راحتك تترك لك الكثير من الخيارات لقضاء وقتك أثناء فترة إقامتك. اكتشف مزيجاً ساحراً من الخدمة الاحترافية والخيارات الواسعة من وسائل الراحة والمتعة في Mercure Oakridge Wanaka Hotel. The once nice resort has aged and is not clean. Black mould is creeping up the tiles in the bathroom. Bedroom wasn‘t made and towels had not been changed on our second day when we returned sticky from tramping in the afternoon. Had to claim it at reception. After having dinner in their restaurant we awoke both with diarreha. Sorry, can not recommend it. Everything was amazing- we stayed here over Christmas. The stove/oven was an added bonus so we could cook Christmas supper. 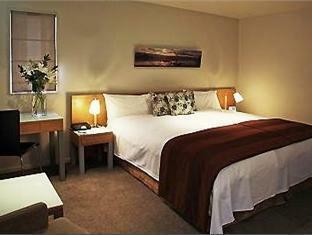 The staff were helpful, the rooms were impeccably clean and the hot pools were an added bonus. Would stay again no questions asked! No air conditioning and no screens on windows . Walls are paper thin-can hear the person in next room peeing and talking. Checked in and although they had unoccupied rooms they put us in the middle of construction zone. No view of the lake. Just overall seemed loud. If you like me travel regularly, you will know that there are only a few things that matter. First, a good bed, second a clean toilet and third, working a/c and fourth, clean kettle/cups/spoons. This hotel does not have an a/c - it has a wall heater, so whilst comfy duering winter, definitely a no-no for summer time. The thing I'm most peeved about is that house-keeping did not provide coffee cups and the left spoons that were used, back on the trays. The spoons were sticky (obvious from touch) and coffee stains seen on the spoon. This was brought to reception's attention that profusely apologised for this mishap. Either way, in the hotel industry - house-keeping has committed unpardonable sin of leaving dirty utensils in the coffee/tea-making trays. Very nice room. 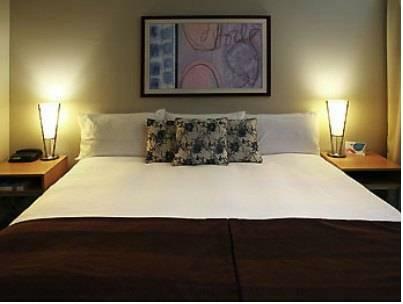 Comfortable, large bed with good shower room. Very nice staff that were accomodating to us being their early. Enjoyed the pool and hot tub, and found the drinks very reasonably priced. Would definitely recommend to anyone staying in Wanaka. A wonderful complex of apartments, immaculately kept, and with incredibly friendly and helpful staff. 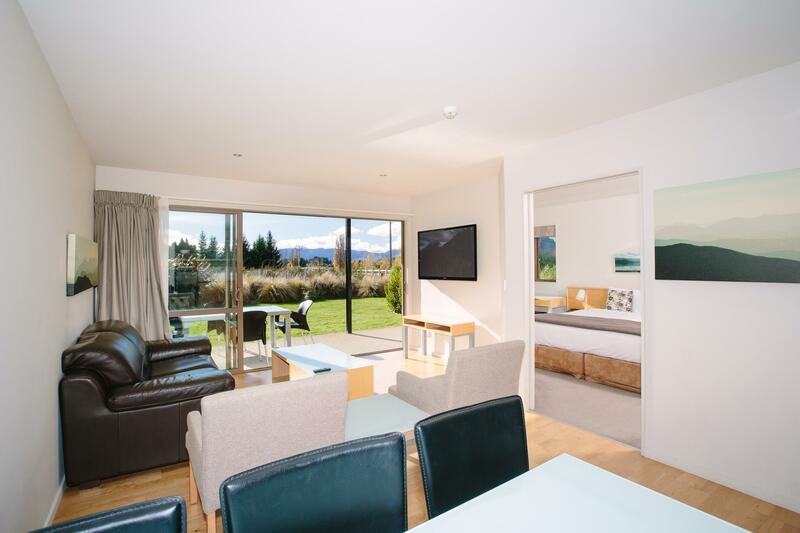 A little too far to walk into town, but just a short 5 minute drive, this hotel provided us with the perfect respite that we needed after hiking around the beautiful trails in Wanaka. Thank you to all! Did miss having air con in the room. And real coffee facilities like a plunger. For the price and the distance from town. (not walking distance!) I expected that. But the swimmingpool and sauna made up for it. We loved the spacious suit. All very clean and every detail was thought of. We also loved the warm pools and outside spa's. They were so relaxing after a long days driving. The receiption staff were very friends. A pleasure to deal with. This is a lovely motel in an excellent location. Our only problem was with the WiFi which did not work well. Also our room phone was not working and when we reported it we were told someone would look at it the next day. Then a friend tried to contact us urgently and we were not given any message. 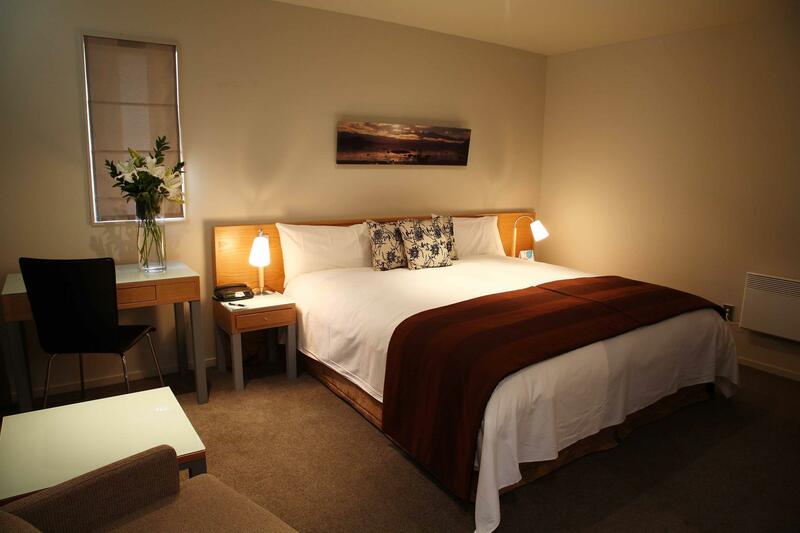 We chose to treat ourselves to a couple of nights at the Mercure as we passed through Wanaka. 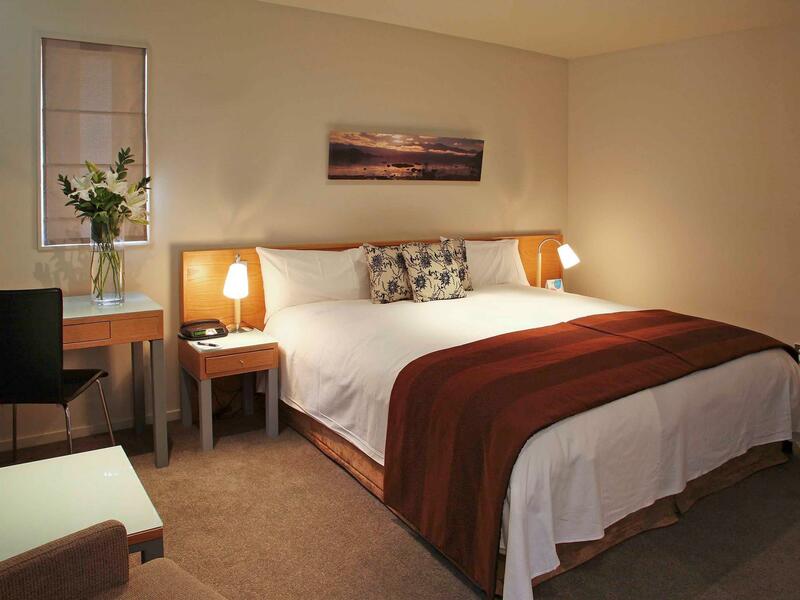 We opted for the studio apartment room which was comfortable, clean and spacious. Whilst not too far from Lake Wanaka and the main town - it is more driving distance than a walk. It's worth noting that the restaurant closes early, at 9pm, and although we arrived before closing time we were told that we had to order before 8.45pm. When we pointed out it was a few minutes before 8.45pm, the supervisor went to speak to the chef and shared that they will only make pizza. At which point another couple had arrived to order dinner. After a little discussion we were able to order a cheese platter, but were only permitted to either take it to our room or eat outside of the restaurant by the pool - whilst not the warmest of evenings we opted for poolside dining. The pools were lovely (although the jacuzzies never bubbled) and guests were able to use them up until 10.30pm, so long as they were in the pool area by 9.30pm - after which the access door is automatically locked. Again, another rule which did not make sense or make guests feel relaxed. Such a shame as the resort has a lot of positives but our stay was a little disappointing with all the rules. Room wasn't as good as we expected. TV was placed in a strange spot, no cable TV, had to pay for wifi. Restaurant food was average, restaurant service excellent staff were wonderful throughout the hotel, it is in a convenient location and has a fantastic pool area equipped with a number of spas which are nice and hot! After we were upgraded... 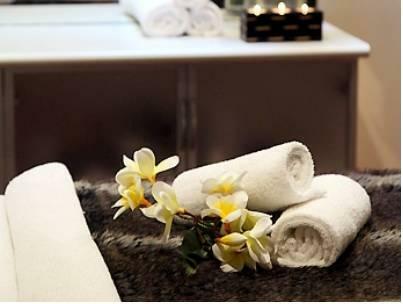 The staff seem to be aware of the faults in some of the rooms but we're very helpful in sorting out another room. 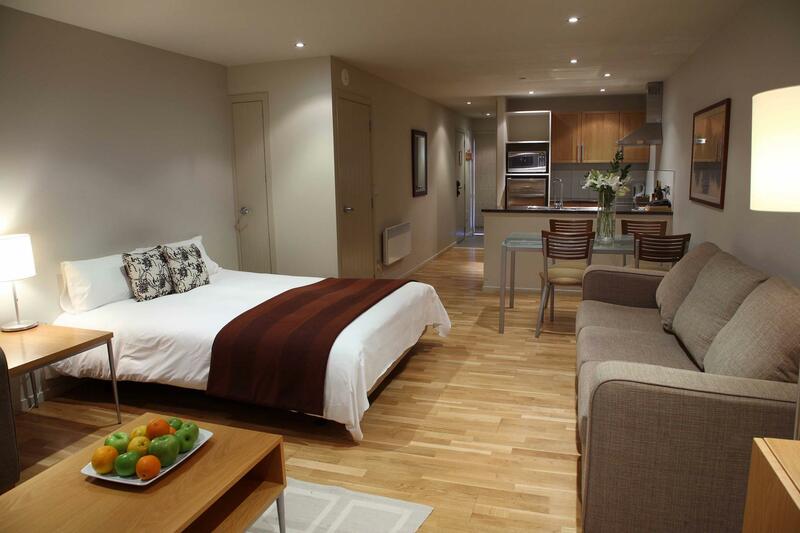 For a good experience book a minimum of King one bedroom apartment. Would have scored more for cleanliness except for a discarded takeaway food carton & some contents outside our room staircase access still there on Sunday when we left after being dropped on Friday night. Basic room , with everything you need . Wifi less than useless ,frustrating to use. Outside doors have frosted glass and clear edge therefore light eminates through them , not a problem except when you lay in the bed then street light shine right in your eyes . Checkin staff most helpful , checkout staff very rude. Good place for a quick over night stay and looked like it would be fun for families . .
Hotel is away from the main street. The area around the hotel is quiet but you need to drive to the town's restaurants. The rooms don't have free wifi but you can get limited free internet access at the reception area. Fabulous. We were able to get a late check out at short notice, we were upgraded at no cost and checking in and out was hassle free. The rooms are gorgeous and comfortable. Will definitely stay there again. Location was a bit too far away from town centre, room was smaller than expected. No kitchenettes, not suitable for those who may wish to cook.